To get the most out of your hashtag marketing, you’ll need to define your goals. Will you be using hashtags to discover content or to contribute to a conversation? You can certainly do both in different campaigns, but having a more narrow goal will help you pinpoint the best content and hashtag use. Brands use hashtags in their marketing in a variety of ways. This article will provide you with a few real-life examples of how some popular companies used hashtags to increase their brand awareness. At the end, we’ll also discuss how you can keep track of each campaign’s success. The first and most basic aspect of hashtag marketing is having your own branded hashtag. Oftentimes, the hashtag is short, memorable and includes the brand name in some form. If you’re having difficulty coming up with the best one, do some research on what’s already being used for your brand. Your customers might already use a branded hashtag even without your knowledge. Your basic branded hashtag should be used on an ongoing basis. It applies to any post and can be your fallback hashtag if you think you’re in need of one on your post. Serena and Lily’s branded hashtag #serenaandlily is used in practically every post the brand puts on Instagram. It also operates as a community hashtag, adding up to over 14k tagged posts. In Twitter, though, the brand switches from tagging their own name to using a hashtag for a store location. Twitter’s shorter character limitations often force brands to prioritize their hashtags. In this case, adding #serenaandlily to a post would have been repetitive. A version of branded hashtags, community hashtags are often used by larger brands to engage their consumer base. These hashtags still include the brand’s name in some form and often tacks on something like “AtHome” or “Community.” In practice, consumers will use the community hashtag on a photo that features the brand or service. The brand will then select from the hashtag and feature the best on its feed. This practice has many benefits. Consumers often feel like they’re part of a larger community and use the hashtag to find like-minded community members. The brand incorporates user-generated content to add authenticity to its feed. And third, brand awareness is subtly spread in the hashtag. Ideally, you won’t be only taking from consumers but also engaging on the photos with the community hashtag. West Elm asks its customers to use the #mywestelm hashtag to share how they’re using the pieces in their own homes. 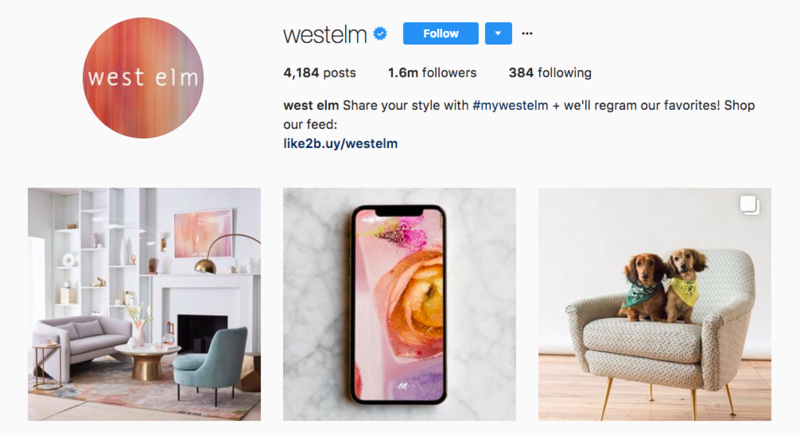 Having this separate community hashtag offers West Elm the ability to showcase various styles and give their followers some inspiration. For best practices on creating a successful user-generated content strategy, check out our complete guide! Used as part of a marketing campaign or a contest, campaign hashtags have a start and end date. Brands create these hashtags specifically to track contest entries and measure conversation around a marketing campaign. While these hashtags may have the brand name in them, it’s more important that the campaign slogan or message is conveyed. 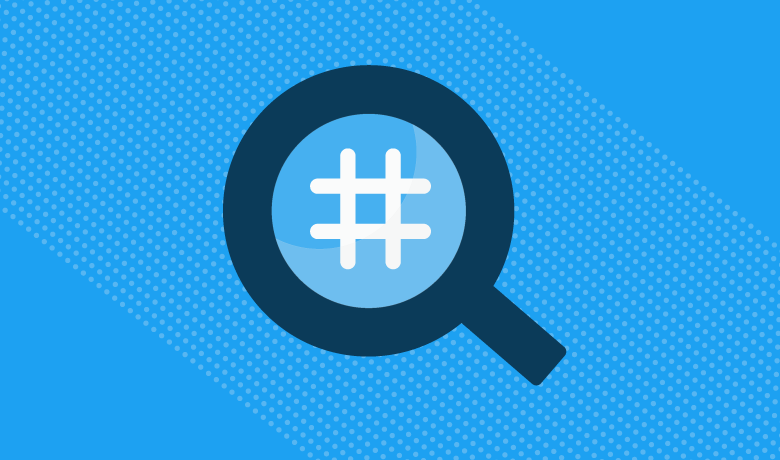 When utilizing campaign hashtags, you’ll want to do some research ahead of time. Beyond the standard search to make sure the hashtag isn’t already in use, also check how the hashtag looks in various iterations. Combining words together in lowercased letters shouldn’t spell new, off-brand words. They also shouldn’t have any unintentional double entendres. February is B Corp Month and B Corporation runs a hashtag campaign that involves certified companies, giveaways and other content. It’s a great way to get the word out about what they do and allows other B Corporations to connect to each other. Like campaign hashtags, event hashtags often have a start and end date. If it’s an annual event, the same hashtag may be used. But some events also like to have a year-specific hashtag to separate new conversation from last year’s. Brands often use event hashtags to join in and create conversation around the event. For conferences, brands may even live Tweet using the event hashtag. In this case, a company is using another brand’s hashtag to share information. When conference attendees search on the hashtag, the company shows up as active participants and more notably, spreads brand awareness. The American Society of Civil Engineers recently hosted the Multi Region Leadership Conference. It first posted about how it would live tweet from the events and post interesting and engaging updates for its audience. You don’t need to host an event to live tweet from it. Attending an event and sharing updates from lectures and panels is another way to show to your audience how you participate and learn in a community. Multi-product or service companies use hashtags to highlight different aspects of their brand. This is an especially useful strategy if your products or services have different audiences. In a way, this is similar to a branded hashtag as these separate products or services might have their own brand. GoPro offers a range of cameras and likes to use model-specific hashtags to show which cameras were used for certain posts. These hashtags may not be as popular as the simpler #GoPro hashtag but they help customers filter search results. The company also offers GoPro Plus, a subscription-based service for storage and sharing. This service has its own hashtag and is used whenever the company talks about it. Another common strategy for hashtag marketing is to jump into trending hashtag conversations. These conversations are often fast-paced, short lived and unpredictable in their occurrences. A major advantage in contributing to a trending hashtag conversation is that when timed correctly, the brand exposure and payoff can be astronomical. The day after a viral trending hashtag on Twitter, news networks often capture the most popular Tweets. However, there are quite a few downsides to this strategy. Unless you’re already tracking conversations in your feeds, this strategy requires you to be more attentive, more often. It can be risky jumping into a trending hashtag without knowing why it’s trending in the first place. Finally, your company might not be the best fit for a hashtag. Sometimes it’s better to watch things unfold than to risk being tone deaf. When Pokemon Go first became a sensation, Warby Parker jumped in on the hype and posted some fun photos of Pokemon being spotted in their stores. The result was a more authentic and fun brand. When planning your content calendar, you may find that certain holidays use their own hashtags. Everything from #4thofJuly to #maythefourthbewithyou to #nationaldonutday can become an opportunity for your brand to have fun. One cautionary piece of advice is to make sure that your content is still relevant to your audience. If your brand doesn’t seem like it would celebrate National Pie Day, don’t force it into your feed just to capitalize on the holiday. Using holiday hashtags correctly can help you brand be discovered in search results. To find some of the most popular holiday hashtags, we prepared a calendar for you. Foodstirs offers baking mixes, so National Donut Day was right in their wheelhouse. Its colorful, attention-grabbing photo tempts their audience to try the mix out for themselves at home. 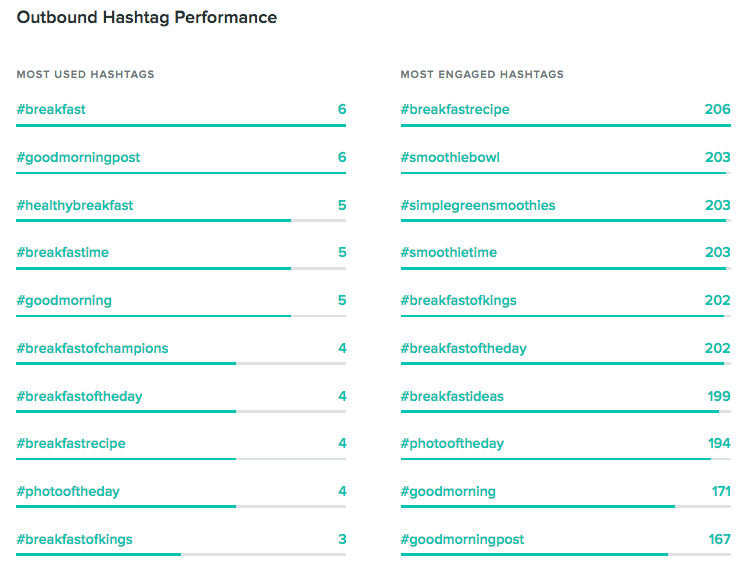 Reports like Sprout’s Instagram Outbound Hashtag Performance are good at helping you determine your most engaging hashtags. This is helpful if you’re testing between different branded hashtags. Any hashtag campaign needs an effective monitoring method. In Sprout’s Smart Inbox, you can have posts with the same hashtag across multiple platforms show up in one place. 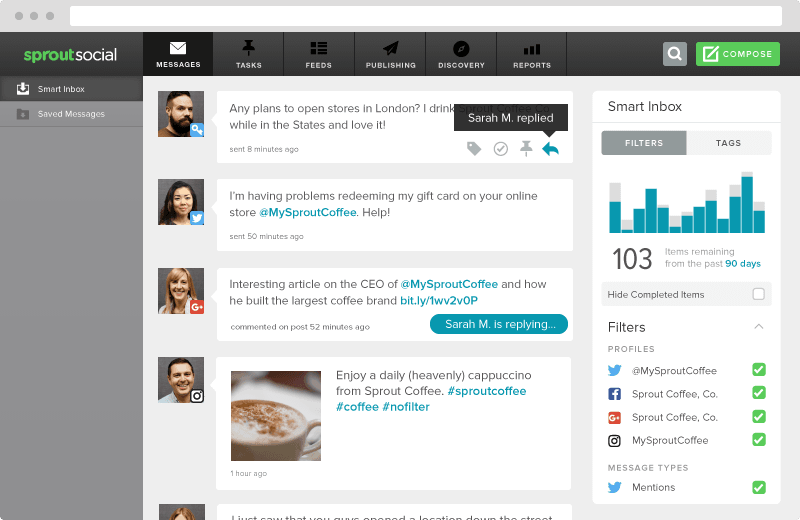 It makes social media monitoring easier than switching between networks. In Instagram, you can also choose to “follow” a hashtag. If you follow an interest hashtag, like #latteart, you’ll likely find new accounts to engage with. 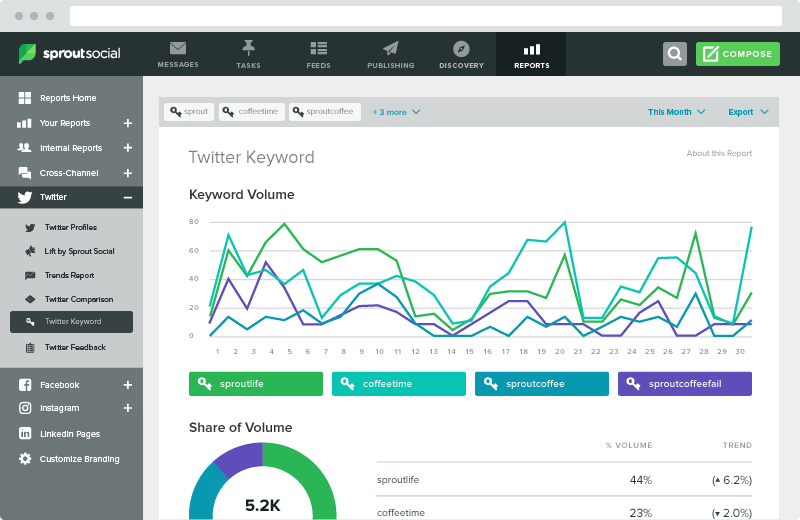 Use social listening to track conversation around specific hashtags or phrases. 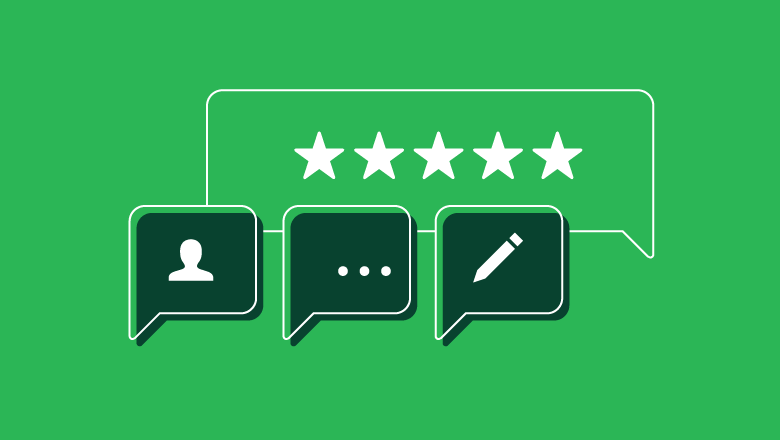 Sprout’s Twitter reports let you know which phrases are most commonly used with your brand. These might give you a good idea of which hashtags to use. Hopefully, this article gave you some ideas to try out for your next hashtag use and real-life examples to emulate. We’d love to know how you’ve been using hashtag marketing and what you’ve found to be successful. Leave us a comment down below!